The Hog Roast Buxton team were recently hired by a new client, Julie, for a 40th birthday party at a local venue, the Palace Hotel Burton. The birthday party was themed as a masquerade ball and the room had been decorated with large round tables and party decorations for the occasion. 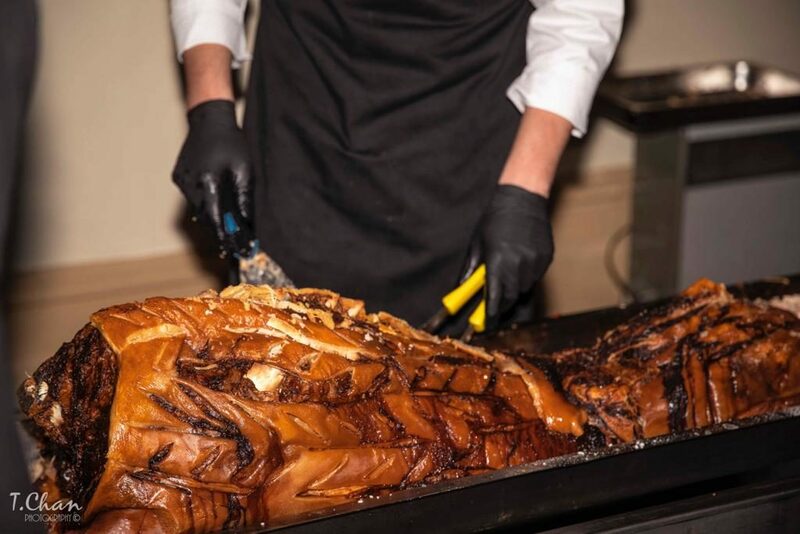 The Hog Roast team were perfect for this event as they could cook the food fresh on site and serve it throughout the night from the buffet table. 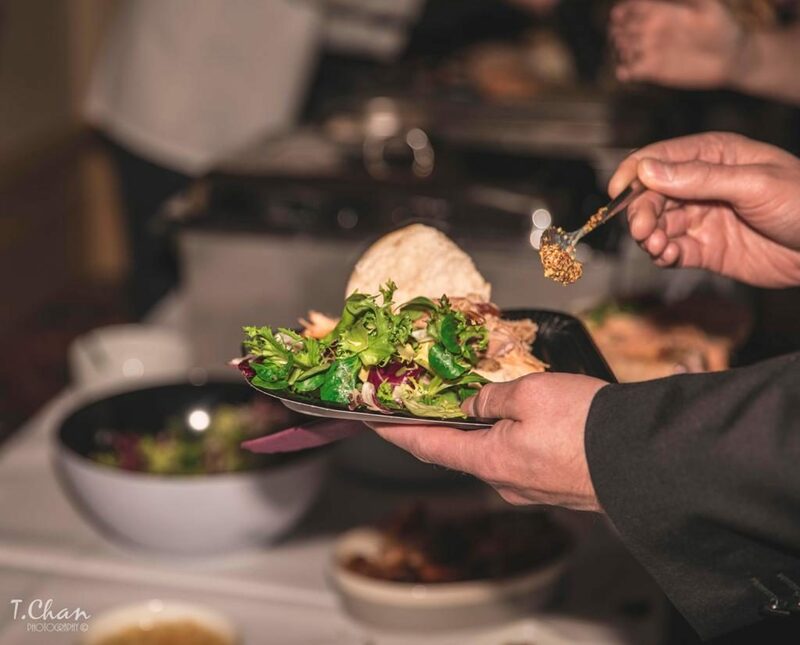 Many of Julie’s guests desired different options for their main courses and so the Hog Roast team could demonstrate their great versatility at this event by providing lots of different options to the guests. Julie had invited 90 guests and, therefore, it was a crucial that everyone received their food in a small time frame so that all of the guests were satisfied. She selected Menu One from those offered by the Hog Roast Buxton team for them to serve to her guests. This included a whole slow roasted hog which was cooked on site in the team’s professional Hog Master machine and served to 60 guests. This was served with the classic sides of apple sauce, crackling and handmade stuffing. In addition, a vegetarian option was provided for 6 people which consisted of vegetable skewers which had been lightly grilled. An alternative main meat of chicken was also served for 16 people and the other option of sausages was provided for 6 people. Alongside the main meats, a mixed salad was served as well as fresh bread rolls and wraps. The client requested for disposable cutlery to be provided by the team as they wanted to use their own plates and napkins. The buffet was served from 8pm to 10pm and the Hog Roast Buxton team’s main chefs, James and Stephen, ensured that the buffet remained well stocked throughout that time. The guests were also served with complimentary glasses of champagne on their arrival and a great atmosphere was created as soon as guests began to arrive. In addition, a dance floor had been cleared for the guests to party the night away and everyone appeared to have a great night. Nobody Goes Home Hungry Thanks To Hog Roast Brampton! Hog roast Shap- Summer is officially over.